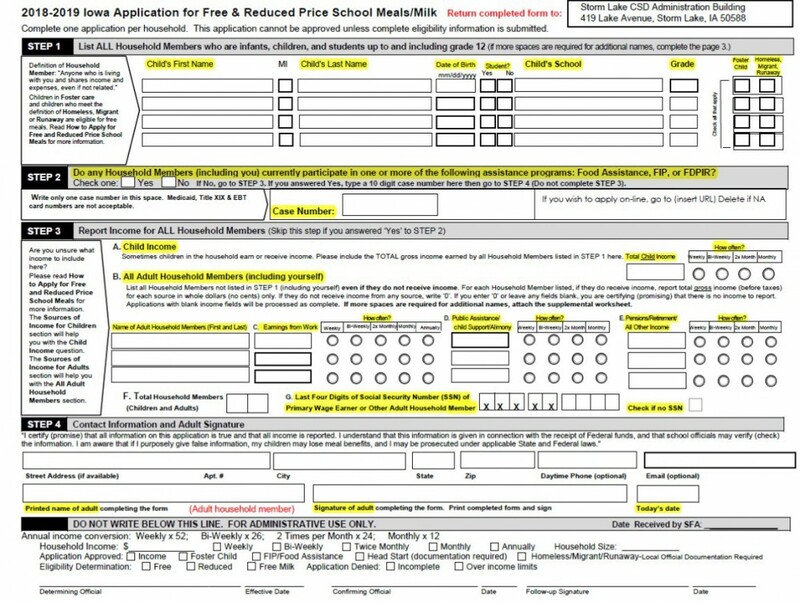 When applying for free & reduced price meals it is VERY important you complete all sections fully and accurately. 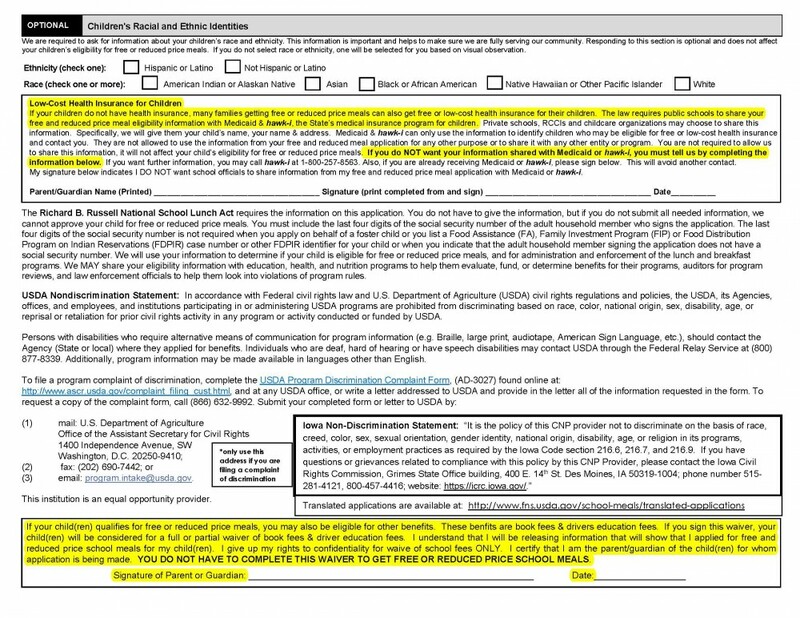 List ALL children in your household whether they are attending school or not and ALL adults even if they do not have income. Enter your income and mark the appropriate circle for how often you receive a paycheck. Enter the last four digits of your Social Security Number or check if you do not have one. 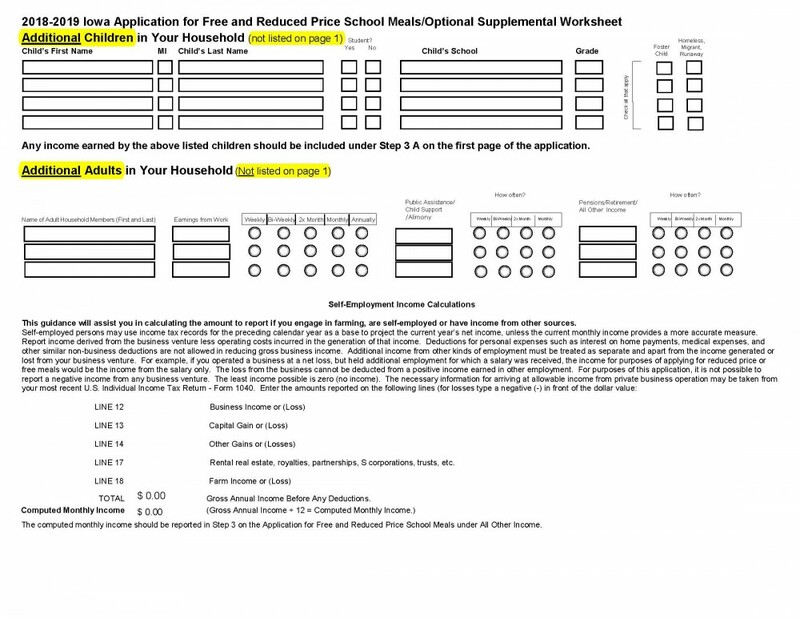 Most importantly, sign the application (page 1) AND the waiver of school fees (page 2).